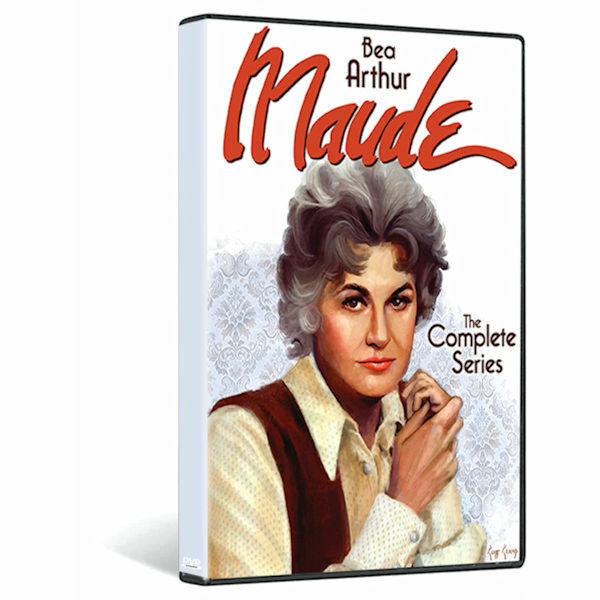 Bea Arthur (The Golden Girls) won a Golden Globe® as the "uncompromisin', enterprisin', anything but tranquilizin'" Maude Findlay in Norman Lear's All in the Family spin-off. For six years on CBS (1972-78), the controversial series pushed boundaries, tackled tough topics, and left audiences laughing. It's still a TV benchmark. With Bill Macy, Adrienne Barbeau, Conrad Bain, and Rue McClanahan. "Riotously funny"—New York Times. Set includes many extras. 141 episodes, 171 hrs, 19 DVDs, CC.